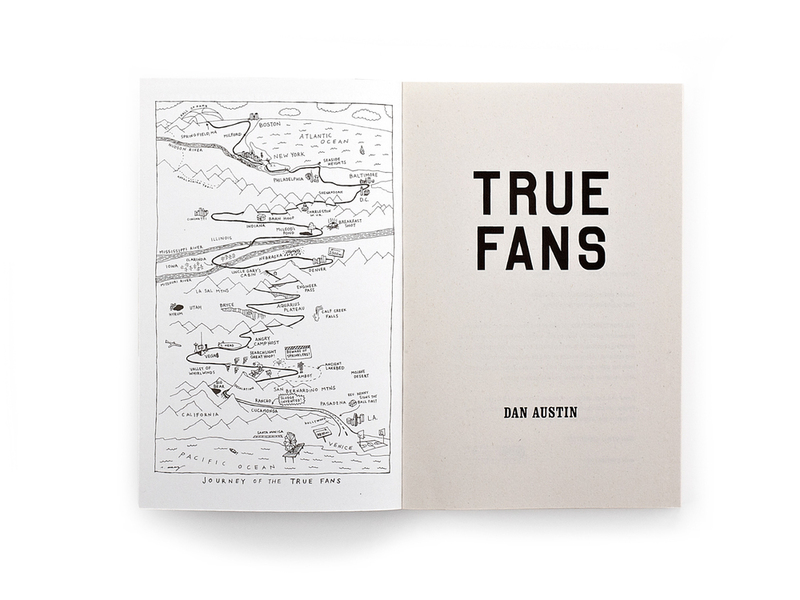 Dan Austin’s book documents a cross-country bicycle pilgrimage he made with his brother and his best friend. After its first print run with a traditional publisher, Dan secured the rights to print a second edition on his own terms and came to me to repackage it. I used hand-drawn road signs for the chapter markers and other improvised elements to help the book feel more authentic to the spirit of the story.